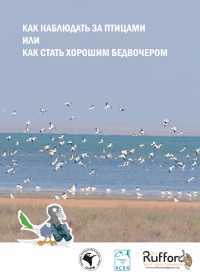 The book is the first inventory of Important Bird Areas (IBA) in Uzbekistan. The basic principles of the IBA Programme, its justification and the methodology used for IBA identification are described. The results of the IBA inventory and its relations to nature conservation in Uzbekistan are presented; the accounts for 48 IBAs identified in Uzbekistan which form part of the Central Asia IBA Programme are given. In the appendices, the full lists of species for IBA criteria applying and other key items are provided. How to watch birds or how to be a good birdwatcher - Tashkent: UzSPB, 2008. - 28 pp. Completed by Sklyarenko S.L. and Kashkarov O.R. Guide for young birdwatchers. Basically it was prepared by Turkish Society for the Protection of Nature "Doga Dernegi". 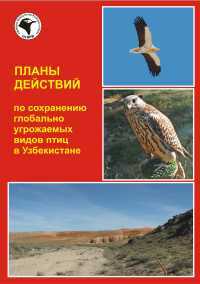 Association for the Conservation of Biodiversity of Kazakhstan and Uzbekistan Society for the Protection of Birds translated this guide from Turkish into Russian and Uzbek and completed it. In March, 2009 thanks to the Rufford Small Grants Foundation (RSG) support this guide was published in the form of booklet in Russian and Uzbek. In the booklet it is told about equipment which is necessary for birdwatching, about birds as objects of observation and other. The new edition is meant for students of biological departments. It can be also interesting and useful for people who love nature, research and protect it. It is free for educational institutions and nature-conservative organizations. 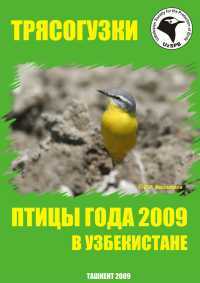 Wagtails as birds of the year 2009 - booklet in Russian and Uzbek. By O.V. Mitropolskiy, A.G. Ten and O.R. Kashkarov. In the booklet it is told about 9 species of wagtails dwelling in Uzbekistan, their features and methods of counts. All descriptions are accompanied by illustrations and colour photographs. The booklet is free of charge. It was distributed among students, young birdwatchers, schoolboys and all who want to know more about wagtails. Research on Important Bird Areas in Middle Asia and Kazakhstan. Issue 3 / Ed. Dr. R.D. Kashkarov. - Tashkent, 2010. - 156 p.
The materials related to implementation of international program on Important Bird Areas in Middle Asia and Kazakhstan are presented in the book. Similarly to two previous issues (2006 and 2007), the next issue is devoted to the problems of researches and protection of rare and threatened bird species and their habitats, to the further monitoring and capacity building on identified and potential IBAs. The issue consists of 4 parts. It starts from the foreword of prof. X.A. Toichiev - the pro-rector of the National University of Uzbekistan named after Mirzo Ulugbek. Then Roman Kashkarov - the national coordinator of IBA program in Uzbekistan and Michael Brombacher - the regional coordinator of the program in Central Asia reviewed results of the first phase of IBA program. In the part "Widening of IBA network" four articles describing potentially important bird areas in Priaraliye, on the Southern Shore of Aydarkul Lake, in Zarafshan ridge and in Kizylkum desert are published. "Monitoring and conservation of present IBAs" is the largest part of the book. It includes 11 articles about existent IBAs in Uzbekistan, Kazakhstan and Turkmenistan, recent information about species and threatening. The next part "Materials about some species" includes 5 articles and section about finding of such rare and threatened species as Sociable Lapwing, Little Bustard, Saker Falcon and Egyptian Vulture. The total cadastre of Little Forktail naturally not numerous specie distribution in Western Tien Shan is published. Three articles from the part "Environmental and ecological education" are about problems of education and young ornithologists training in Uzbekistan and about first ornithological youth hobby groups in Turkmenistan. The book is completed by all articles resumes and information about "AviCA" database for ornithologists and birdwatchers. 200 copies of the book were printed with the support of the National University of Uzbekistan named after Mirzo Ulugbek. It is illustrated with black-and-white photos of rare species, skeleton maps and original drawings. The book is intended for ornithologists, the workers of nature-protection organizations and persons interested in wildlife conservation. It is free of charge. Manual on the project "Interactive education program for students of Biological and Natural sciences faculties of universities of 5 regions of Uzbekistan" / Kashkarov O.R., Koshkin E., Atakhodjaev A.A., Ten A.G. Tashkent, 2011. - 200 p.
The manual is published as a result of the project "Interactive education program for students of Biological and Natural sciences faculties of universities of 5 regions of Uzbekistan" which was realized by UzSPB in 2010-2011. The project and the publication were financed by the Foundation for Support of NGOs and other Institutions of Civil Society at the Parliament of Uzbekistan. The manual consists of detailed descriptions of educational sessions carried out by UzSPB. All materials are structured in modules: "Computer skills", "Preparing of report", "Biodiversity", "Cooperation with mass media and development of the club", "Ornithology and birdwatching" and "Fundraising for NGOs". CD with presentation for each session is attached to the book. 150 copies of the book in Russian and Uzbek were printed. The edition is distributing free among universities, environmental NGOs and governmental organizations. To get it please contact UzSPB. The materials of the book can be used for development of special educational programs for ecological clubs and environmental NGOs. It can be also useful for students studying ecology or journalism. Action plans for conservation of globally threatened bird species in Uzbekistan / Kashkarov R.D., Lanovenko E.N. - Tashkent, 2011. - 56 p.
For the first time in the publication Action plans for conservation of two globally threatened bird species such as Egyptian vulture and Saker falcon are presented for Uzbekistan. It includes main biological descriptions and modern status of population for each of two species as well as threatening, legislative base for management, necessary conservation actions and determines organizations which are responsible for its implementation. It aims to provide informational and methodical support for representatives of governmental, nongovernmental and scientific organizations, land owners and other interested parties related to conservation of Egyptian vulture and Saker falcon and their habitats. Field studies and preparing of the Action plans were carried out by members of Uzbekistan Society for the Protection of Birds (UzSPB) and supported by RSPB Research Fund for Endangered Birds (BirdFair/RSPB). The edition was also supported by International Foundation for Saving the Aral Sea (IFAS). The document was approved by the State Inspection for Protection and Rational Using of Flora and Fauna of Uzbekistan at the State Committee for the Protection of Nature. Download Action plan in pdf (1.0M). 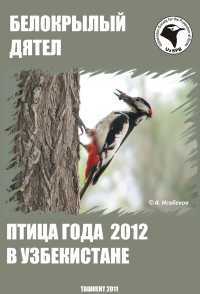 Booklet "White-winged woodpecker - Bird of the Year 2012 in Uzbekistan" in Russian and Uzbek. Authors: E.E. Khurshut, O.R. Kashkarov. Edited by O.V. Mitropolskiy. The booklet is the main educational material developed in the framework of the fourth information campaign "Bird of the Year" carried out by Uzbekistan Society for the Protection of Birds. In the booklet it's telling about White-winged woodpecker - the central figure of the campaign. Information about subspecies of woodpecker dwelling in Uzbekistan is also provided. Reading the book you will find answers on some interesting questions, for example: What kind of bird is woodpecker? Where does it leave? Why do the drum? What do they eat? Why are woodpeckers important? Another part of the booklet is about woodpecker observations. Using the simple method everybody who wishes can learn a lot of new and useful things about live and habit of bird of 2012 year. CD with presentation about woodpecker is attached to the booklet. The booklet is free of charge. 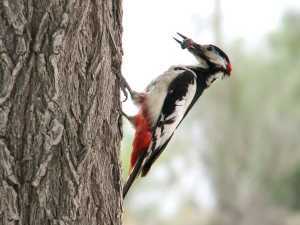 It is distributing among students, birdwatchers, schoolboys and everybody who want to know more about woodpeckers. It is available in UzSPB office. Download booklet in pdf (1.5M). "Eco dates". 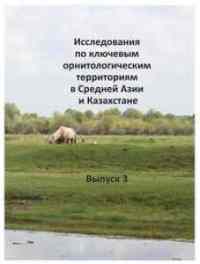 Manual for carrying out of ecological actions, timed to some ecological dates in Uzbekistan / Kashkarov O.R., Ten A.G., Khurshut E.E., Atakhodjaev A.A., Filatova V.A. Tashkent: Uzbekistan Society for the Protection of Birds, 2011. - 80 p.
The manual is detailed and universal plan for celebrating of some ecological dates compiled in a form of single-step stepwise with description of all necessary actions and resources. Celebration of ecological dates is a serious instrument of environmental education in a whole world which thanks to the manual can be used in a work of environmental NGOs and educational institutions of Uzbekistan. The education kit contains the manual for carrying out of ecological actions, ecological calendar and CD-disk with presentations for each ecological date. All actions are developed in an interactive way. 200 copies of "Eco dates" Education Kit were published in Russian and Uzbek in the framework of joint UzSPB / dvv internatonal project in December 2011. The manual is free of charge. It is distributing among schools, universities, local administrations in a whole Uzbekistan. It is available in UzSPB office. Download manual in pdf (1.6M). The next issue of UzSPB Digest was published. Download pdf (3.4M).